There is tomato sauce and then there is uncooked tomato sauce, the perfect topper for short cuts of pasta like penne or ziti. But this sauce can also be used to top crusty toasted bread slices for a great summertime bruschetta. Or plop a spoonful over grilled chicken or pork chops. The trick is to use really great-tasting tomatoes, so making this sauce in the summertime is ideal when tomatoes are bursting off the vines. For less than stellar tomatoes, cheat and add a teaspoon or two of sugar to the sauce. No one will ever know! Pour the olive oil into a bowl and set aside. Make a pile on a cutting board of the garlic, basil, and parsley. Mince with a chef's knife or put the ingredients into a food processor and pulse a few times until they are minced. Stir the garlic mixture into the olive oil. Dice the tomatoes and add them to the olive oil with the salt and pepper and a little sugar, if need be. Mix well. Cover the bowl and allow the mixture to marinate several hours at room temperature before using. The sauce can also be made a few days ahead of time and stored in the refrigerator. Bring to room temperature before using. To use on pasta, cook the pasta until al dente. Toss the pasta while hot with the sauce and serve immediately. Pass grated cheese on the side, if desired. Variation: Add 1/2 cup diced oil-cured olives, artichokes, or peppers to the sauce. 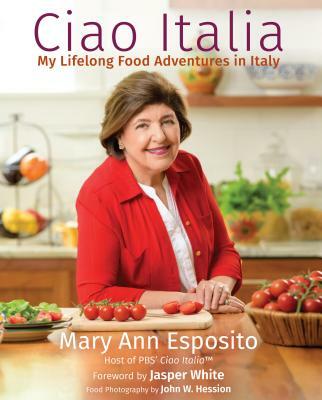 This recipe is from CIAO ITALIA PRONTO by Mary Ann Esposito, published by St. Martin's Press in 2005. This recipe is featured on Season 15 - Episode 1515.